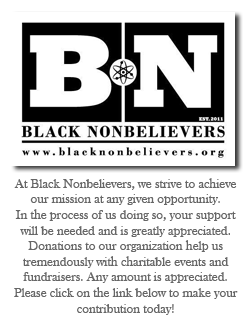 Black Nonbelievers of Cincinnati | Black Nonbelievers, Inc.
Last year, we announced that a brand new Black Nonbelievers chapter was forming in Cincinnati, OH. I’m excited to report that the chapter not only started, but has gained a lot of momentum and is now very successful! But don’t just take my word for it, I am very happy to present the words of the chapter’s leaders directly. 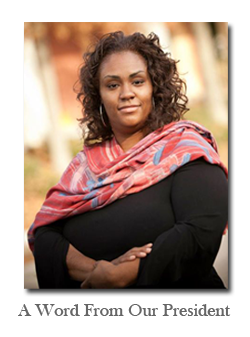 “BN of Cincinnati is not only a resource for atheists of color in our area, we are a support system, a family. We celebrate together, grieve together and we even eat together. BN of Cincinnati has been the beginning and enrichment of many friendships. “One of the major conversations we had was about boldness. I was sharing how I am compelled to speak up on personal issues that affect me and my community as it relates to religious over steps. As a member of a civil rights organization, I have recently stood up on a couple of occasions. The first occasion was a statewide meeting about education. The meeting was laced with religious overtones and eventually they asked me to pray over the food. Even though I gave in which I later became very shamed about, I pulled the convener to the side and explained my position. I was surprised to be met with a very receptive and apologetic energy. The second was about Christian prayers to start our local meetings. I realized this was an opportunity to shine the light on the fact that we shouldn’t not be giving preferences to any religion and that our organization was started by a collection of people, one of which was a secular humanist. Since then, prayer has stopped in the Cincinnati meetings. I hope that you are as excited as I am to see the fantastic success of Black Nonbelievers of Cincinnati. If you are in the area, or if you visit the city for any reason, reach out and get involved! P.S. We depend on you as we support chapters all around the country just like BN of Cincinnati. Please consider a gift to help us keep growing and engaging with our communities! Did You Catch BN On FFRF’s Freethought Radio?